In the DC Metro area, we’re no strangers to weather. From muggy summers to harsh winters, we catch it all, and when it comes to outdoor recreation, we all have our seasonal go-to’s. For some of us, summertime is the short window where we can spend quality time cooking or relaxing out on the porch. With a 3-season porch, you can enjoy your favorite pastimes, right into the fall. 3-season porches, also called sunrooms or screenrooms, are designed to be fully usable while also withstanding a little weather. 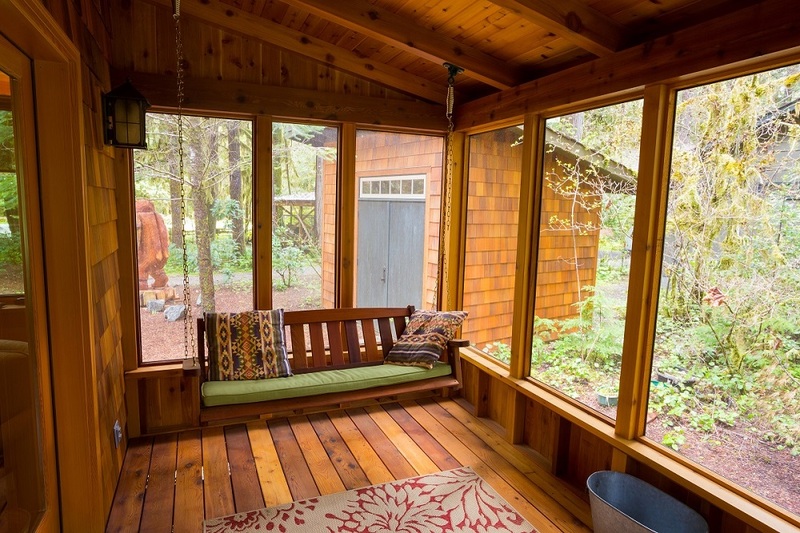 What makes a 3-season porch unique? 3-season porches are enclosed, and are designed as functional extensions of your home. They’re built with the option to open up to the outdoors, making them a favorite in areas that experience the brunt of each season. Some porches lean more towards the summer, offering a shady spot near the pool. Others are built with fall in mind, with options like converting a front porch into 3-season, or building close to the family room or kitchen. 3-season porches are designed to be enjoyed all year round, except for during the harshest parts of winter. During the off-season, try out some creative options to repurpose your porch! Because they’re dry and often elevated, 3-season porches make great enclosures to keep firewood. You can also convert them into storage areas, mudrooms, or even greenhouses! Have you made some great summer memories relaxing out on your porch? The fun doesn’t have to end! Get in touch with your local remodeling experts to learn about your 3-season porch options.